Every business wants to be able to connect with and engage their consumers. 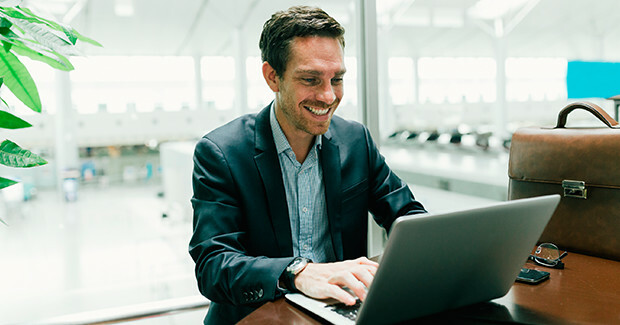 As a business owner, you may have opportunities to create connections with your consumers face to face or on the Internet. When you’re having a face-to-face interaction with a consumer, making a connection is easy. You’re in your element, feeding off of each other’s energy, and you just click. It’s like you and the consumer are lifelong friends—reconnecting after a period of time. But when you’re on the Internet, it’s a completely different world. You don’t know what your consumers are thinking or feeling. You don’t get to read their body language to predict their next move. So you sort of just have to throw your content at them and hope something sticks. Right? Nope! We don’t believe in just blindly throwing anything at your consumers. Everything your brand puts out on the Internet should serve a purpose. So instead of taking a shot in the dark, you should feel confident that whatever you’re producing will succeed. Here are some approaches you can take to help inspire a connection with your consumers. 1. Emphasize the positive when writing persuasive content. Instead of telling consumers not to do something, highlight the benefits of whatever it is you actually want them to do. Focusing on the positive will help improve the overall tone of your site and empower your consumers to make their own decisions (no one likes being told what they can’t or shouldn’t do). Bad Example: Don’t use the color yellow on your site because it can be hard on the eyes. Good Example: Yellow can make a great accent color on a site. Just be sure to use it sparingly! 2. Get specific with numbers to help support your points. Example 1: Hundreds of customers love our products. Example 2: We’ve changed the lives of 575 customers…and counting! In Example 1, “hundreds” could mean 200, 900, or anything in between. It doesn’t do much to prove the business’s expertise than the exact number in Example 2. 3. Write using the first-person plural point of view (and second-person when applicable). One of the easiest ways to inspire a connection with a reader is to write as if you’re having a conversation. Use the first-person point of view (“we” and “our”) whenever possible, rather than your business’s name. And to further your connection, try to use “you” to help relate to your consumers. Bad Example: OMNI can provide marketing solutions for businesses. Good Example: We can provide marketing solutions for your business. Using we/our instead of your business name will humanize your brand and make you more approachable. Likewise, using you/your instead of generalized terms will help your consumers feel more involved in the decisionmaking. 4. Write your content using the active voice. In active voice, someone is actively doing something. The focus is on whomever is doing the action. The active voice inspires action and empowers your consumers. It is a more clear, direct way of speaking/writing and helps simplify your text. ↳Example of Active Voice: Our team created the new product. In passive voice, something is being done to someone, which shifts the focus to the something. You should try to avoid writing in the passive voice whenever possible. It can be ambiguous and unclear, confusing your consumers. ↳Example of Passive Voice: The new product has been created by our team. Notice the difference between the two? The emphasis should be on the action, which is the product’s creation. The passive voice gets you to focus on the product, itself, which isn’t actually doing anything in this context. By following these tips, you can avoid playing the guessing game when it comes to your website. You’ll be writing content that helps you connect with and engage your consumers in no time!